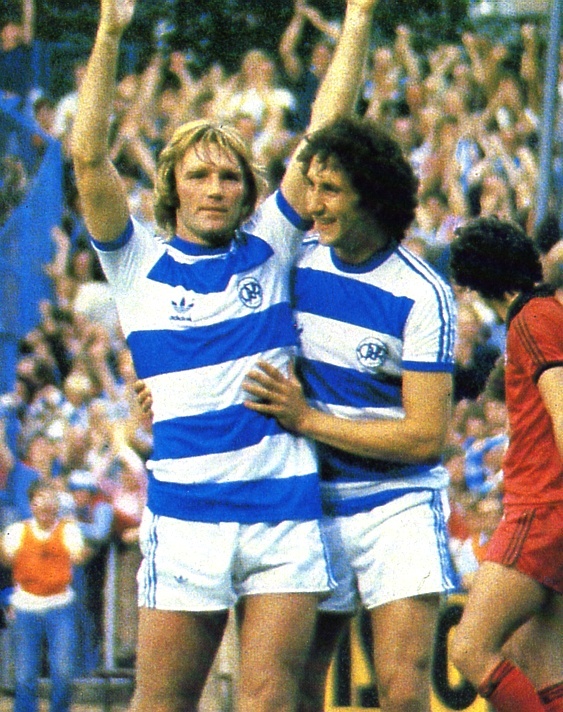 ...which was almost identical to the one launched for the 1977/78 season, but this one included the badge. 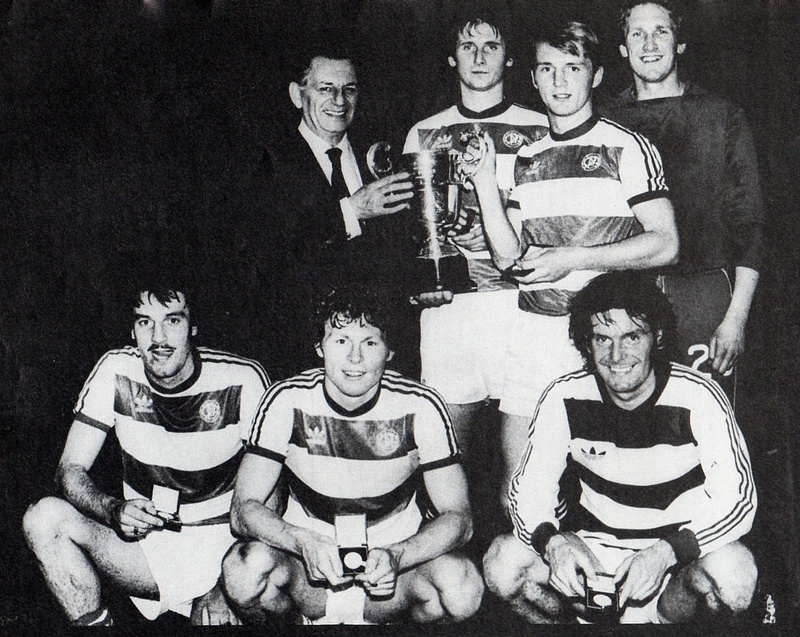 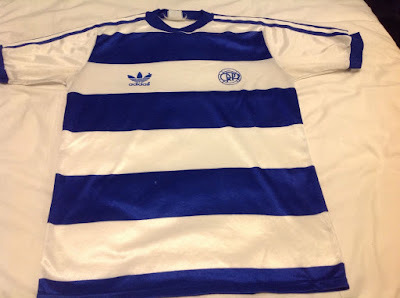 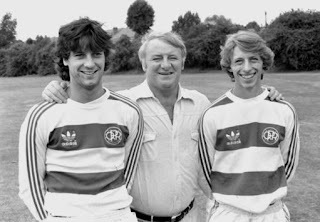 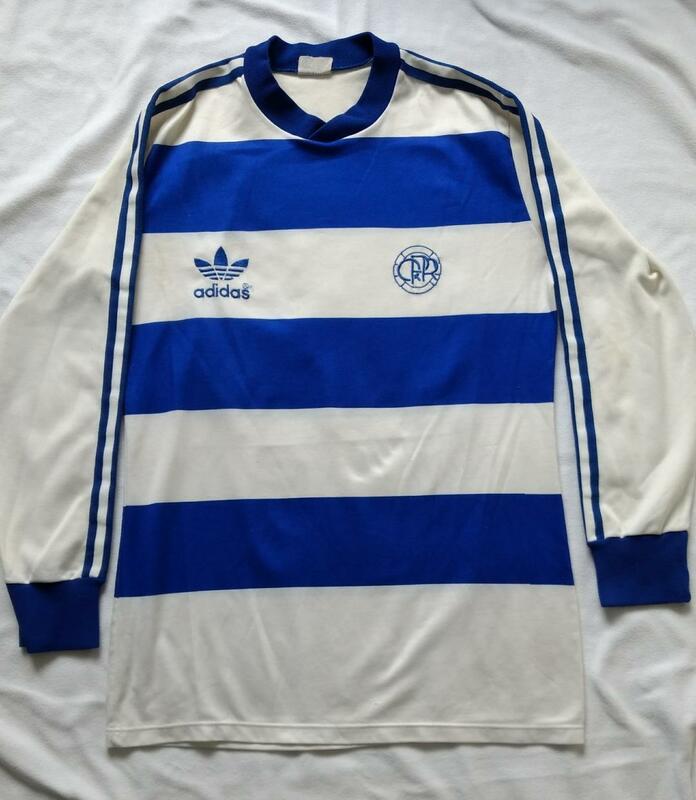 Just to complicate things, towards the end of the season the same shirt had the Adidas logo and QPR badge in white on the top blue hoop - pictured here with QPR being presented with the 1980 5-a-side winners trophy (note Don Shanks in another Adidas design, which doesn't exactly match any previously worn). Prestine replica sold on ebay for £215 in 2017. Glen Roeder match-worn shirt sold for a whopping £440 on ebay in 2018.